The “On Air” collection continues to shine. The name makes sense as the entire shoe’s aesthetic is inspired by Parisian construction sites that one would typically see while strolling through the city. The shoe’s upper is grey, mimicking the color cement. 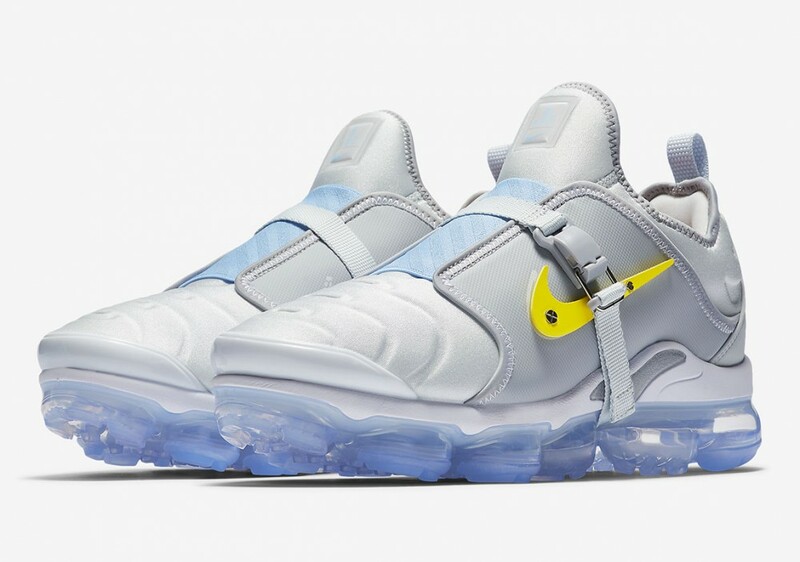 Meanwhile, the Nike swoosh on the side is yellow and is kept in by a pair screws, furthering the construction zone motif. Finally, the air bubbles on the bottom will be in a translucent light blue. According to Sneaker News, these will be dropping on Saturday, April 13th for $240 USD. The rest the pack will also be releasing on Saturday through the SNKRS App.